Diane Mae Robinson is the international multi-award-winning author of the children’s fantasy/adventure series, The Pen Pieyu Adventures. The author is also an artist, art teacher, children’s book editor, and a writing instructor. Diane lives in central Alberta, Canada. 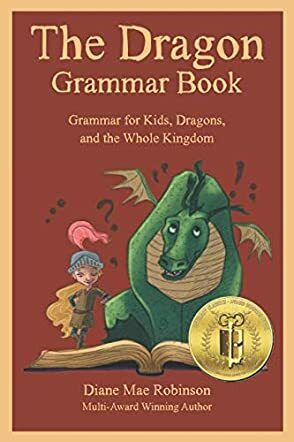 The Dragon Grammar Book: Grammar for Kids, Dragons, and the Whole Kingdom is a nonfiction educational book for children written by Diane Mae Robinson. Robinson is the author of The Pen Pieyu Adventures, a children’s adventure series starring Sir Princess Petra. She’s also a writing instructor who still finds it necessary, from time to time, to double-check those grammar rules. In this book, Robinson presents basic grammar rules in an accessible manner that is geared for young readers, and she does so using the characters and story line of her Pen Pieyu series. She begins with a glossary of grammar terms, and then proceeds to demystify confusing and often misused words and phrases, such as affect/effect and between/among and the deadliest of them all -- lie/lay. She then tackles verb agreement, punctuation and other aspects of syntax and sentence structure, employing examples that are filled with dragons, castles and, of course, Sir Princess Petra herself. Robinson includes spot quizzes at the ends of many chapters, and she also provides two levels of Dragon Grammar Skill Tests with answers at the end of the book. I love dragons and grammar! So my eyes lit up when I saw Diane Mae Robinson’s nonfiction educational book for children, The Dragon Grammar Book: Grammar for Kids, Dragons, and the Whole Kingdom. I’m also a big fan of Sir Princess Petra, whose adventures have admirably shown kids that it’s cool to be both a princess and a knight or a prince who likes to cook. And while I’ve read any number of dry, tolerable and even enjoyable books on grammar, I’ve rarely come across as well presented and entertaining an approach to what can be an intimidating subject, particularly for a young audience or for adults learning English as a second language. Robinson gets to the heart of the really puzzling aspects of grammar and offers them up in a format designed to make learning grammar more fun. The chapter quizzes are enjoyable ways to make sure you’ve gotten all the rules down, and the Skill Tests are also quite useful for spotlighting areas that need more review. And unlike many of the classic grammar texts, her grammar recommendations are oriented toward pragmatic, real-world usage. The Dragon Grammar Book: Grammar for Kids, Dragons, and the Whole Kingdom is a great resource for kids, their teachers and anyone else who’d like to know a bit more about language and how to use it. It’s most highly recommended. Do you think English grammar is fun? No? Join the club. It can be torture. However, there is a book called The Dragon Grammar Book by Diane Mae Robinson and it might just change your opinion about grammar books - if even just a little. The author is an award-winning writer of fantasy books and now shares her knowledge about grammar in a way that is more entertaining (and thus motivating) than your average grammar book. The lessons include characters from the author's fantasy books, but previous knowledge of them is not necessary. Chapter by chapter, basic grammar topics and some trickier issues are tackled. They are followed by some tests, so that you can check whether you have actually understood what the lessons were about. I am not a big fan of grammar and sometimes do get a bit confused about the use of commas, for example. While The Dragon Grammar Book by Diane Mae Robinson is aimed at a North American audience, I can still get a lot of use from the various chapters (though, funnily, North Americans seem to like the Oxford comma a lot more than English people do!) and found the book a lot nicer than usual grammar books. Usually, grammar books are boring, cold, and rather dry. I avoid them. When I read the description of this book, it made me curious. Could there really be such a thing as a FUN grammar book? I doubted it. A few nice illustrations here and there would surely not turn that nasty thing called grammar into something more attractive, would it? Well, to be honest, the illustrations could go and the book would still be nice! Obviously, kids will love the more colorful aspect of the book, but for someone like me, the content itself counted. It was pleasant to read, but don't ever tell my ex-English teachers that I said this about a grammar book - or maybe DO tell them and keep them from torturing more students with horrible grammar books. Of course, I could also find no fault with the content itself, and everything was nicely explained. I am sure that many people who need to deal with grammar will enjoy this book and find it very useful. 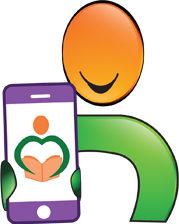 Schools, libraries, writers, and readers will benefit from The Dragon Grammar Book. In easy to understand terms, author Diane Mae Robinson explains adjectives, adverbs, compound sentences, and takes on complicated words like that and which. And that’s just the introduction! She gives examples of each grammar concept and explains the difference between affect and effect, but also other confusing words like they’re, their, or there, and then provides examples. Each page could be a lesson for teachers in a classroom or adults and children who want to practice correct grammar. Good grammar is imperative in school, at work, or in social media posts. The occasional table helps compare singular and plural words, or present tense, past tense, and past participles. “Meaning is everything, and the comma, or lack of the comma, can make a big difference.” This sentence is so true. I often call my daughter for dinner: "Come and eat, Kristen.” Without a comma—or pause—she would be dinner! Author Diane Mae Robinson has written an excellent book on grammar that children and adults will comprehend. She explains the meanings of words and then uses them in a sentence. Sometimes, she even tells us how not to use it. Whether you’re new to grammar or just need a review, The Dragon Grammar Book is the best place to start—and end! Full-page gray scale images are well done by Breadcrumbs Ink and appear at the start of each chapter. I love how the dragon reads a book with the girl. Middle-grade students will like the dragon and princess references, which should keep them reading. I believe the Test Your Knowledge pages are beneficial to readers to make sure they understand the basic concepts before moving on. Teachers and readers will enjoy the skill-testing questions to make sure they understand the material. In her well-illustrated book she continues to se her beloved characters form previous successes to aid the reader. The organization and gradual advancement into concepts is well considered: Diane opens with grammar terminology (adjective, adverb, clause/sentence, conjunction, contraction, interjection, modifier, noun, participle, phrase, predicate, preposition. punctuation, subject/object, verb) and then the book blossoms into a teaching situation that is both informative and entertaining. While this book is visually one that young learners will enjoy, adults (and young adults) will find the information more useful that school textbooks. This is a small treasure chest of grammar information, not only for kids but also for adults and those who love visiting dragons. Covering everything from punctuation to clauses to tricky word pairs and even more, this is a comprehensive glance at basic grammar. . .with a lovely dose of dragon, that is. After several pages of explanations concerning grammar terminology, the book goes on with ten chapters concerning various themes. Then, there are two fun tests at the end (as well as answers) to help readers see how much their grammar has improved and where they might need some brushing up. Fun illustrations, which depict the exciting characters from The Pen Pieyu Adventure series, help keep the book from growing too dry. This is a book, which I'll be keeping on my own shelves. The explanations are concise, easy to understand and hit upon simple things, which tend to cause trouble. While the explanations are clear, I wouldn't recommend this book for kids under ten to use on their own. Older kids, teens and adults will have no trouble diving into the pages, and even those ages eight and up will enjoy the entertaining examples. It's a great reference book to keep on the shelves, a lovely help for those just needing a bit more grammar assistance, and an ideal addition for a homeschooling program. The only thing I missed was a quick index to help find specific terms (especially for the Grammar Terminology and Confusing Words chapters). Still, the topics and rules are easy to find, and the chapters are well organized. Summed up, this is a great book for grammar basics, not only for kids but for adults. The fun characters give the entire thing the needed humor and spice to keep boredom at bay. Who doesn't love a challenge? At the end of each section, the author provides a mini quiz to test comprehension. When the reader finally reaches the end of the book, there is a mastery test on the contents of the entire book. Robinson links her content to her children's book series based on Princess Petra and her dragon friend. Illustrations spice up the lessons and make them fun. 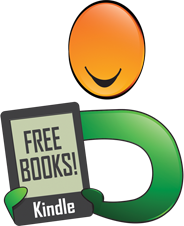 Readers are invited to sign up for a free coloring book. I loved this book. It now sits in a prominent place in my office. Grammar, for me, was always infinitely boring and difficult to understand – something to be avoided like the plague. But, under the tutelage of Ms. Robinson, it has come alive! Not only does she describe and explain adjectives, adverbs, compound sentences, etc., etc., but she does so with humor and a bit of whimsy which delights the reader. The book takes a very, very dull subject and jazzes it up so it becomes enjoyable for children and adults of all ages. And, given the subject matter, this was a monumental undertaking! But nothing seems to be too difficult for Snarls the dragon and his alter-ego, Diane M. Robinson. They breeze through the most difficult and confusing parts of the English language, explaining them in a clever and engaging manner. I recommend this book for all writers, irrespective of age. Five big shiny stars for this break-through reference manual! And, P.S. - the illustrations are great, too! Diane Robinson not only gives comprehensive explanation of parts of speech, but also common punctuation rules, with entertaining examples and illustrations. She also includes examples of commonly misused grammar and the correct way it can be used in a sentence, she also does this with the punctuation. This was a fun refresher and I will be looking to get her more of her books in hard copy for my children. A long time ago in a galaxy far away... Well, back in the 80's in the country of Greece anyways, I was an English teacher and taught English as a foreign language to ages ranging from grade school to adults. To make a long story short I could have used a book like this one to make my job easier. It's an easy to understand book geared towards kids but even adults can appreciate it and learn from it. It's well put together and explains everything in an understandable and concise fashion. It's well organized and definitely worth buying! I enjoyed it!! The English language is a complex and confusing language to learn. The dragon book takes this language and puts into context an easier method of learning. I do homework with my children and this book is very helpful when we get to the English assignments. The material is well thought out and presented in an easy to follow format with a little quiz at the end of each chapter to test your understanding. This book is well thought out and a great tool for learning. I would recommend this one to everyone interested in learning. It occurred to me while reading through Diane Mae Robinson’s The Dragon Grammar Book that its OOPS it’s not a work only for OOPS for only young visitors to her delightful kingdom. It’s for of all ages who want to communicate clearly. The fact that the author has gone to the trouble of creating crystal clear OOPS crystal-clear and fun examples of all the grammar rules any one OOPS anyone needs to know makes the book useful to those who hated grammar in school to the point they still don’t know why you can say this but you can’t say that. The author’s dragon deserves a teacher-of-the-year award. If you think a dangling participle is something you strike while playing piñata, this book is for you. Ms. Robinson explains in a clever and engaging manner, so that young writers can better understand the complex rules of English grammar. The entire family—or Kingdom—will enjoy the examples and activities from her award-winning series offered within the book. The illustrations that begin each chapter help set a playful tone. In this book, Diane M. Robinson make the difficult rules of English grammar accessible and entertaining! 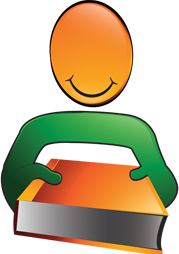 Clear examples and fun activities help to keep readers of all ages entertained. I highly recommend this book for fans of Sir Princess Petra and those who just want to brush up on their grammar. As a teacher, I appreciate the wide variety of topics covered. 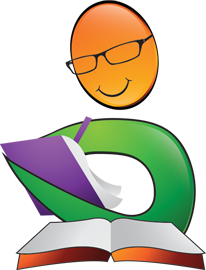 The author has chosen to include some areas students will encounter as their writing develops over the course of several years. Chapter One’s focus on confusing words was a breath of fresh air to this teacher. Arranged alphabetically and featuring brief, easy-to-understand examples, this portion of the book is simple to navigate and covers each and every roadblock young writers encounter as they learn to proofread and edit their work. Love this book. An excellent resource to have on hand...at home or in a classroom. Very easy to read and understand for wide range of age groups. I even learned a thing or two. Very well written and nice layout. I am a seasoned writer and even I didn't know many parts of English. I had bought the book basically for my kids but, found myself getting educated too. For example I didn't know that something like "modifier" existed in grammar. The author describes modifier as "either a word or a phrase that describes another word or group of words. It modifies something". The book is small and fun and extremely informative.